“In this instructable you will learn how to make a single filling timer to keep track of the times of fillers. 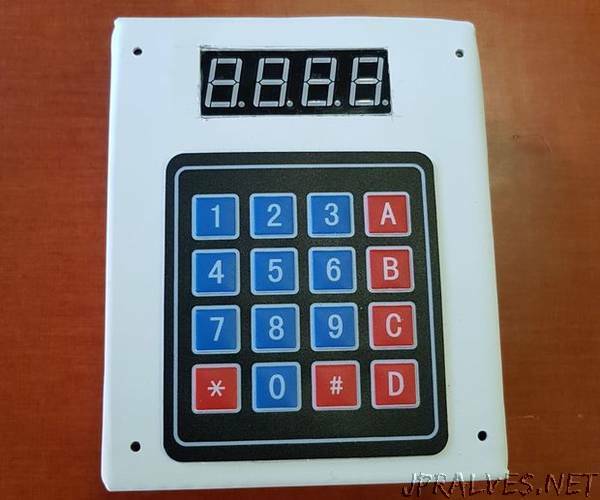 It consists of a keypad to enter data, a display to show the data, 2 buttons for addition and subtraction and an RGB LED to make clearer what you are doing. By means of the buttons you can very easily count the number of collie (= boxes) of the fillers and the time to stare. This data is then stored in a database. When someone finishes filling you stop the time and the results can be seen in an app developed for that purpose.